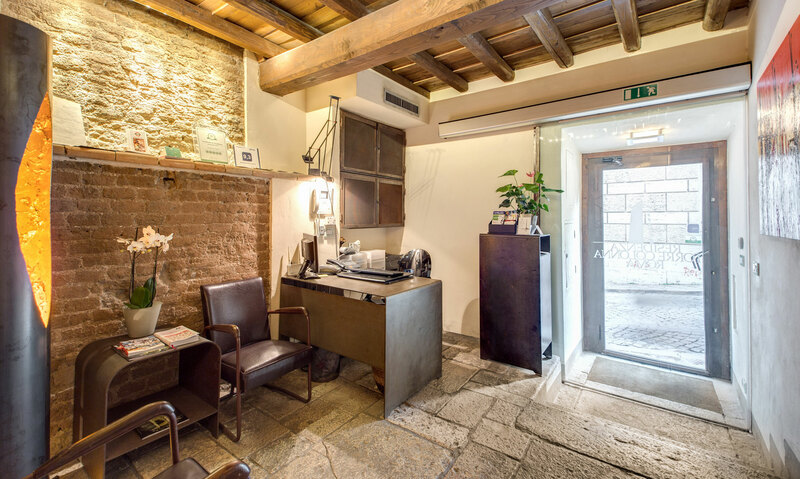 Possibly the most striking thing about the brand new Torre Colonna luxury Boutique Residence in the centre of Rome is the interplay between modernity and history within the property. 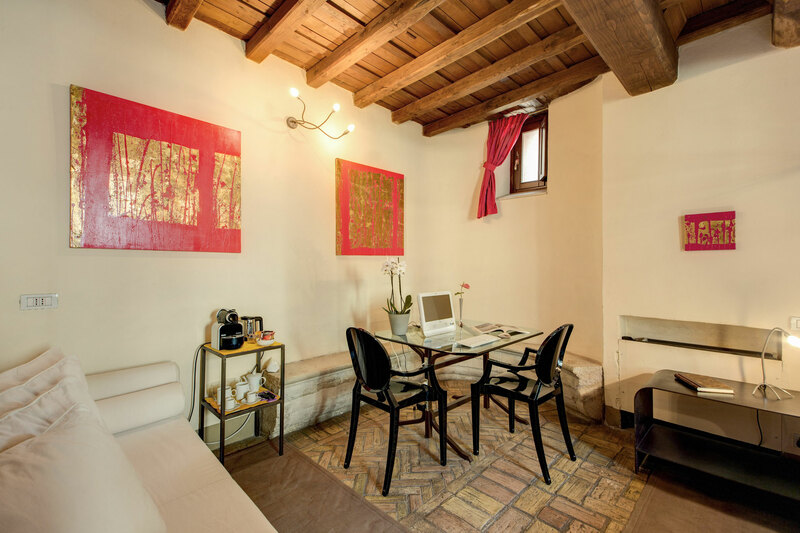 Together medieval and minimalist, contemporary and renaissance, the Torre Colonna is at once unique, aesthetically stunning and luxurious in ways its medieval creators could never have dreamt possible. 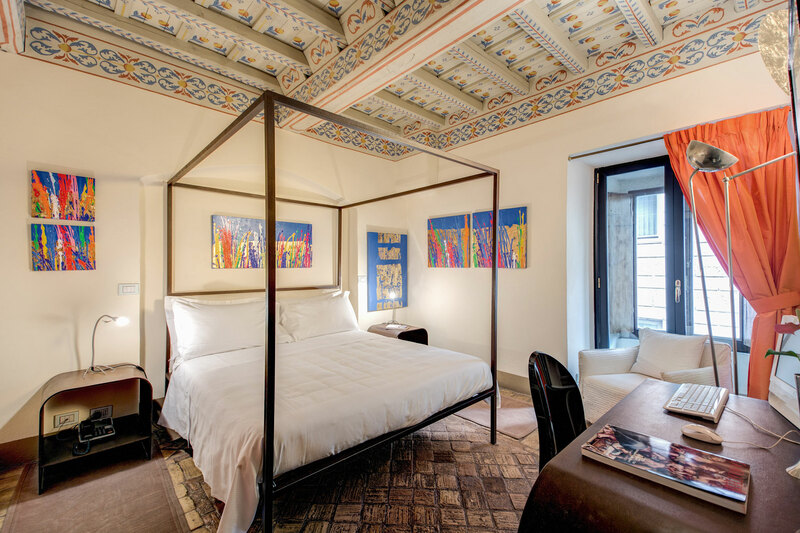 The unique internal design of our five guest rooms make the Torre Colonna arguably Rome's hottest new luxury Boutique Residence - thanks in no small way to the fact that the property doubles as a showcase for the new darling of contemporary modern Italian art, Natino Chirico. 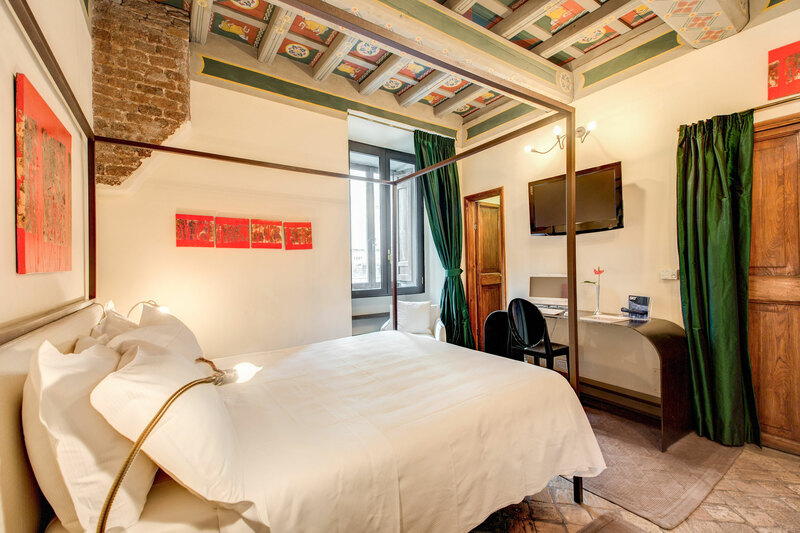 Such a trailblazing union of medieval noble grandeur and the finest style of the modern age makes for a thoroughly invigorating accommodation experience. 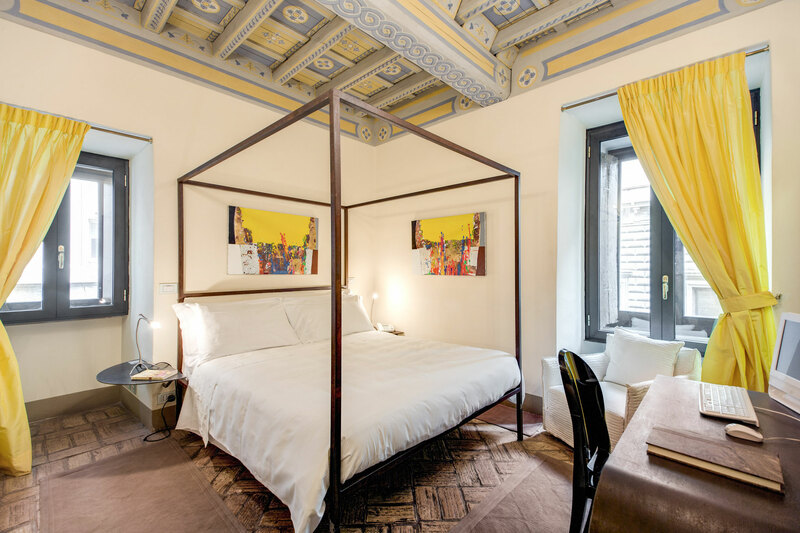 Each ceiling of our five luxury Rome guestrooms is hand varnished and each is individually styled in its own way to create a chemistry between the dimensions - natural light rebounds from the wrought iron spiral staircase leading to the roof like a cosmic discotheque, and each and every detail is accounted for with careful precision planning and no expense spared. 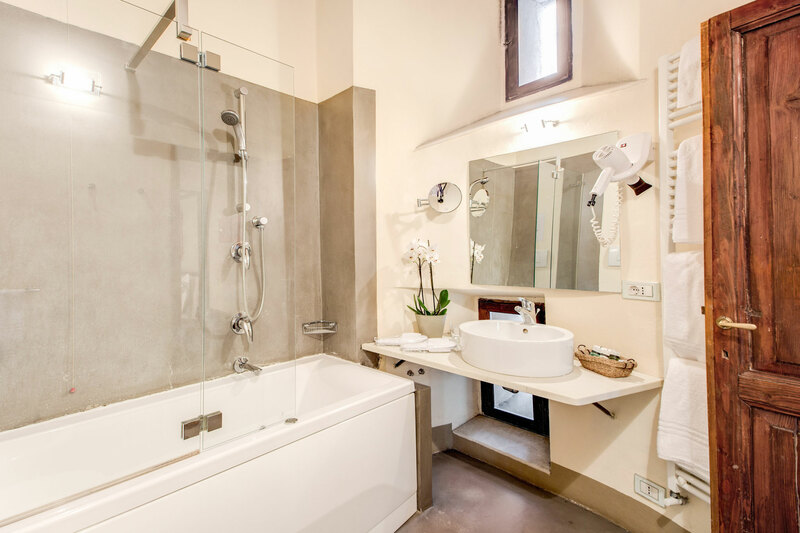 The interior design of the Torre Colonna luxury 4 star guest house in the centre of Rome is both unique and stunning and must be seen to be believed. Each of our five guestrooms has its own individual contemporary minimalist design and all are adorned with works of contemporary art by Natino Chirico. Please take our Video Tour and view our Photo Gallery - we'd hate to thing you just took our word for it! Opened in the summer of 2009, the Torre Colonna Boutique Residence is Rome's creme de la creme of minimalist designer boutique luxury guest houses occupying medieval defensive towers formerly owned by nobles and diplomats and offering panoramic views of Rome's historical city centre and that, my friends, is the true, unrivalled decor of our luxury Rome accommodation.